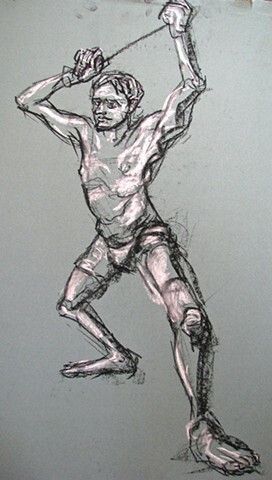 There was a great life drawing session this past summer at the Nantucket Island School of Design and Art. Caleb was the model, and he was one of the best I've worked with. He had a theater and music background, plus practiced yoga. He could hold dramatic poses beautifully.